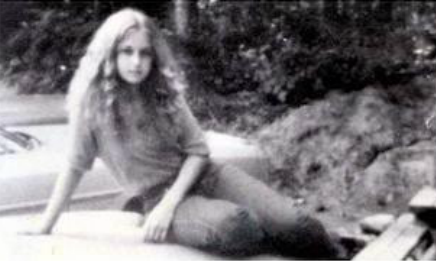 The Orangetown Town Board has again gone unanimously on record requesting the New York State Parole Board to deny the parole application bids submitted by the two convicted killers of 16-year-old Pearl River High School student Paula Bohovesky 37 years ago. Bohovesky was a high school junior in 1980, a talented artist and aspiring actress looking forward to attending college the following year while also working as an intern after classes at the Pearl River Public Library. Walking home the few blocks from the library after her 6 p.m. shift one day, she was accosted by two local men Robert McCain, now 55, and Richard LaBarbera, now 63, who had been drinking at a nearby bar. Dragging her behind a tree, they brutally raped and murdered her, fleeing the scene to continue their alcohol bender. Quickly apprehended and arrested, they were charged with first-degree murder, and both were convicted and sentenced to the maximum term permitted by New York State law at the time, 25 years to life. They became eligible for parole at the end of the 25-year prison term in 2005, and have applied for and been denied parole every time, amidst an outpouring of opposition to their release from family, friends and virtually the entire Pearl River community. The Orangetown Town Board itself has been a leader in the cause to keep the men imprisoned, passing unanimous resolutions against parole for McCain and LaBarbera. They are now eligible for parole this year, McCain in June and LaBarbera in May, and again the Town Board is taking the lead in denying their latest application for freedom. Board members said they were also urging all town residents and organizations to join in the fight to deny parole, and to contact the parole board directly to express their continued opposition. Heard a presentation from Dave Wasenda, president of AppliedGolf, updating the board on their leasing and operation of the town’s two public golf courses, Blue Hill and Broadacres. Wasenda said the firm is meeting its goals and expectations in running the two courses and is committed to continuing their lease arrangement with the town. He said they expect to start turning an actual profit in the next year or two, after decades of the courses operating at a substantial annual loss under town ownership and management. Listened to an appeal from a special committee created a year ago to propose updates to the town’s historic district law, which created the Tappan and Palisades Historic Districts, and governs all development within their boundaries. The committee said the law is operating well, but suggested five or six changes which would essentially clarify the existing language and make it easier for property owners to know how to upgrade their properties and comply with the complex ordinance. Town board members appeared to agree with the recommendations, and said they should be able to vote on actually amending the law within the next few months. Announced a public hearing at 8:10 p.m. on May 2 on a proposed local law which, if adopted, would impose a temporary moratorium on the construction of new, or expansion of existing, telecommunications facilities and structures within the unincorporated town. Approved the extension of an existing agreement with CANDLE, a private, non-profit agency which provides youth services for town teens, to cover all of 2017. The cost to Orangetown for the drug abuse and prevention awareness programs will be the same as it was last year. Authorized hiring a private real property appraiser to establish an estimated value for a nearly nine-acre parcel of mostly vacant land the town owns off Hunt Road in Pearl River. The site formerly housed the Hunt Road pump station of the town sewer department, treating all sewage generated from Pearl River as it made it way toward eventual disposal in the Sparkill Creek and Hudson River. The plant was closed four decades ago when it was replaced by the larger and more efficient town-wide treatment plant on Route 303 in Orangeburg. It has been used since then for the storage of unwanted vehicles and equipment from the sewer, highway and parks departments. A firm now wants to buy the site and construct a data center there, Orangetown’s fifth such facility in the area if it is approved. Cost of the appraisal is $2,500 by a firm called Valuation Plus. Scheduling a public hearing for May 16 to consider adopting a law requiring LLCs and other entities to disclose their ownership and contact information to town officials. Cancelling an agreement between the town and Frontier Communications because of alleged non-performance by the private firm in buying and installing a new telephone and 911system at all town facilities. Approval of a contract with the Palisades Interstate Park Commission under which the town will construct a 1,300-foot long, eight-foot-wide paved hiking and biking trail across park property. Using a state grant, the town will construct the trail to connect two segments of Greenbush Road that were severed By route 303 thereby requiring the bicyclists on Greenbush Road to enter Route 303 for a short stretch in Blauvelt in a part of Route 303 that is very dangerous for bicyclist and where a bicyclist was killed by a truck recently. Award a bid to demolish a historic Dutch home the town owns at the entrance to the Blue Hill Golf Course on Blue Hill Road in Pearl River. The home is at least 200 years old and of frame construction, but is badly deteriorated and has not been occupied for nearly 20 years. The low bid for the demolition work was submitted by Hari Construction, for a fee of $66,000. Resolutions asserting the town’s total ownership and maintenance responsibility for two roads that have been in dispute with private ownership claims for several years. The two roads are Marycrest road in Pearl River and Depot Square in downtown Sparkill. Declaring 10 old vehicles and pieces of equipment of the Highway Department to be surplus and available for sale. Creating a new position of public health engineer within the sewer department. The chief responsibility of this new employee will be the detection and enforcement of town laws against air, soil, water and other contaminations from industrial firms in the township. The salary will be $83,680. Approve, with regret, the retirement of Allan Seebach from the Parks Department, and issuing him a lifetime “gold card” for free use of the town’s two golf courses in recognition of his 30 years of service, primarily as a greenskeeper.